lang="en-US"> Give the Gift of Reading! When I was pregnant with my first baby, I was working at a school. Instead of having the normal baby shower for me, the teachers and staff gave me a Book Shower, gifting me their favorite baby and toddler books to start my child’s love of reading from the beginning. It’s a key ingredient of a nightly bedtime routine. It’s a calming activity to wind down excited brains and bodies. It’s the perfect excuse to snuggle and sneak in top-of-the-baby-head kisses. You’re setting up a lifelong love of books for your future reader. Books enhance imagination, and there’s nothing more fun than raising an imaginative child. Reading aloud to children brings out your child-like imagination and is a stress-reliever for you too! It’s fun to make the silly voices and act out scenes. It gives your child a front row seat to see your personality, and it’s a simple way to let go of your daily stresses. Take a look at this list that my kids and husband helped me compile. 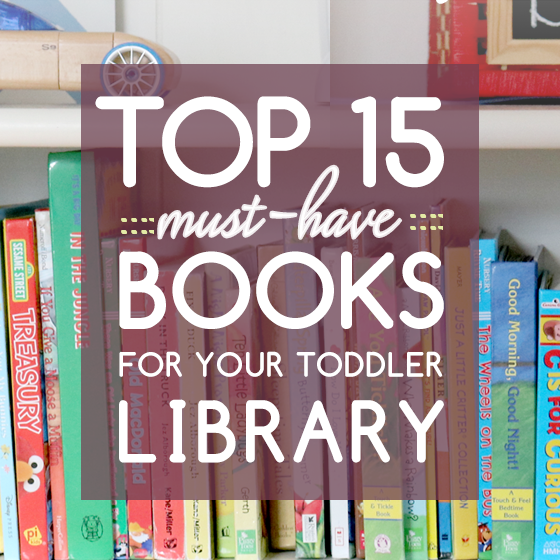 It was quite hard narrowing down our very favorites, but these 15 are the cream of the crop as far as all three of our children (as well as their parents) are concerned. Buy them for your baby. Gift them to friends or relatives expecting a baby. Give them as first or second birthday gifts. If there’s one thing you’ll never regret as a parent, it’s reading to your children. Did I leave off your favorite book? Feel free to add to the list!